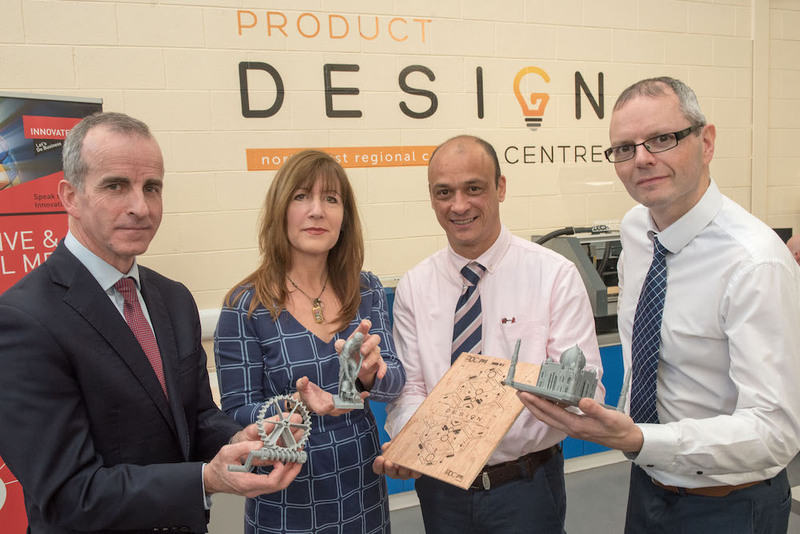 Connected NI were proud to support North West Regional College (NWRC) as they opened their Product Design Centre (PDC) this month. Based at the college’s Greystone Campus in Limavady the PDC is a brand new state of the art facility for businesses and organisations keen to create new products or improve existing ones. The centre boasts cutting edge technology that companies and entrepreneurs need to turn their ideas into a market ready reality. As well as the latest tech, the PDC also offers a consultancy service that works to assess business needs and supports companies through the process from beginning to end. Visual Artist Sara Cunningham-Bell, and engineering designer, Simon Green of Florian have already benefited from the services of the design team. Both have been developing new products in collaboration with NRWC, utilising the centre’s digital fabrication techniques. If you’re interested in finding out more about the Product Design Centre, or to talk about a potential business idea or opportunity, call 028 71 278783.